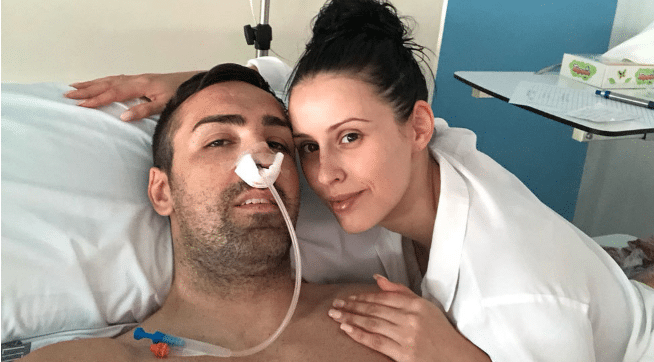 Shock news as it has now gone public that Jose Enrique is recovering after a 9 hour operation to remove a brain tumour. The former Newcastle star had a particularly rare and dangerous type of cancer called a chordoma. He was in England when first feeling unwell, the former defender meeting up with his old Newcastle boss Chris Hughton. After being taken to hospital and eventually the problem diagnosed, Jose Enrique (pictured above after Newcastle were relegated at Villa Park back in May 2009) elected to return to Spain and have the surgery carried out in a hospital in Valencia. Now in recovery, best of luck to Jose Enrique. “We were meeting with Chris Hughton, the coach of Brighton that I had during my time at Newcastle, and that night I was beginning to get annoyed, I arrived at the hotel and thought they were migraines. “During the night I had a brutal headache. the next morning my vision was blurry, then I started to see double, I had my eyes open and I saw double, I had to go to the emergency room and after nine hours there I had a CT scan. “I was sent to St. George’s Hospital in London immediately, specialising in Neurology, I spent two nights there. “I was then informed It is a tumor located in a complicated area of ​​the head, it is very rare, it is not very usual, it was located behind the eye, that is why I now wear a patch. “It was a complex surgery, Dr. Simal and his team operated on me last week, I went into the operating room at 9 in the morning and I left at 6 in the afternoon, the tumor was stuck to the artery and it was a complicated intervention. “They did an exceptional job, I was in the ICU for 24 hours and I am very grateful to the work of Dr. Simal and his medical team. “They were the worst days of my life, I stayed in bed for five days without moving. “All this makes values ​​more life, soccer players live in a bubble, it’s an unreal life, you lose yourself and you think you’re invincible. “There are only four (suitable radiotherapy) machines in Europe . My options are to go to Zurich or Paris. I have to receive 35 sessions. I’ll be about month and a half off, but that’s not important. I want to get well. “It was possible I could stay blind, then I regained my vision and even the doctors were surprised . Jose Enrique says ‘it comes with a very heavy heart’ as he announces his retirement from professional football. He managed 27 second tier appearances for Real Zaragoza last season but ongoing knee problems have forced him to pack it in at the age of only 31. After leaving Newcastle for Liverpool in a £6m move in summer 2011, Jose Enrique made 58 Premier League starts over the course of his first two seasons but only eight in the following three years. In the relegation season (2015/16), Enrique was on the verge of a return to Newcastle as United were struggling for defenders, Liverpool were prepared to release him but NUFC wouldn’t pay the wages asked for. Easily Fat Sam’s best signing (not great competition! ), Jose Enrique (like a few others) really found his feet in the Championship season of 2009/10 and excelled when playing 36 Premier League matches in 2010/11. A decent defender and excellent on the ball, he and Jonas Gutierrez had an unorthodox but excellent partnership, which usually saw Jose Enrique providing most of the threat going forward and Jonas filling in behind him defensively when required. When leaving for Liverpool, Enrique upset many fans when saying it was because of the lack of ambition at the club, with Mike Ashley to blame because he wasn’t willing to keep the club’s best players and build the club/team up. Ironic that we are at a point now where many Newcastle fans are very passionate in saying they wouldn’t blame Rafa Benitez for walking away because of that lack of backing/ambition from Ashley. At the end of the day though, no fan wants to see one of their best players walk away and saying how rubbish their club is, even if they know in reality the owner has made a joke of Newcastle United. “It comes with a very heavy heart today to announce my retirement from professional football. “It’s been a very hard decision to take and accept. “I would of loved to have played more years at my best level if my body would of let me but all good things have to come to an end and more in football. “I just want to say a huge thanks to all of the fans and clubs who have supported me throughout my career. “You have been the best! “I have been blessed to play for some of the best teams in the world, with some of the best players in the world. these memories will stay with me forever.